Like the New Testament which recounts the life and ministry of Jesus Christ (1-33 AD), the biography of Gautama Buddha (536-486 BCE) is also one of the greatest stories ever told. The Buddha’s message fell on receptive ears, particularly of people suffering the inherent iniquities and injustices of the Hindu caste system. During his ministry, he developed a community of self-abnegating monks who took his message across the seas especially to the Far East into China, Japan, Sri Lanka and Cambodia, which to this day remain strongly Buddhist countries. Currently estimates of the global Buddhist population vary between 489 million and 1 billion. A prince of the Shakya clan born in 536 BCE in Lumbini (Nepal), Siddhartha Gautama abandoned his palatial home at age 29 to become a wandering ascetic. After six years of observing the sufferings of the world, while seated in deep meditation under a Bo (fig) tree in Bodh Gaya in modern day Bihar, he attained nirvana (enlightenment) and transformed into the Buddha (fully enlightened). From the age of 35 until his death at age 80 (486 BCE), he adopted the life of a religious Master, who taught four noble truths (arya satyani). In essence, the Buddha’s analysis of the cause of human suffering was that their condition is rooted in worldly desires. He preached that the conquest of desire is the route to happiness, arguing that human beings — rather than the gods — shape their own destinies. He explained in detail the chain of causes which lead to suffering and ways and means to attain nirvana. Moreover, since he believed that man was the arbiter of his own destiny, he questioned vedic rituals, the caste system and the superiority of Brahmins within it. The sequence of the 15 Buddhist holy sites follows the Buddha’s life cycle and the journeys performed by him as narrated in the Jatakas and the Tipitaka, and are sacred for Buddhists. Among them are his birthplace, Lumbini (Indo-Nepal border), Bodh Gaya (where he received enlightenment), Sarnath (where he gave his first sermon) and Kushinagar (where he breathed his last). With a resurgence of global interest in the gentle, compassionate and self-effacing message of Buddhism, the Buddhist trail or circuit has been experiencing a rush of pilgrims and tourists. The Indian Railway Catering and Tourism Corporation (IRCTC) has introduced a special train — the Mahaparinirvan Express — which offers a guided tour of eight days. The birthplace of the Buddha, Lumbini nestles in the Himalayan foothills of Rupandehi district, Nepal, near the Indian border. In 1997, it was designated a Unesco World Heritage Site and nominated for the international World Heritage programme. The scripture Sutta Nipáta states that the Buddha was born in a village of the Sákyans, in the Lumbi-neyya Janapada. Records maintained by the Chinese pilgrim Fa Xian were also used to identify this sacred site, identifiable by ruins of ancient monasteries, a Bodhi tree, an ancient bathing pond, the Ashoka pillar and the Mayadevi temple. The holy site of Lumbini is bordered by a large monastic zone in which only monasteries can be built. The zone is bifurcated into the eastern and western halves, with the eastern hosting the Theravadin monasteries while the western half comprises Mahayana and Vajrayana monasteries. Currently only Lumbini has been identified with certainty, while Kapilavastu, where young Siddhartha aka the Buddha, is believed to have lived and matured until age 29, is tentatively identified. This site is still being explored for more evidence and ruins. Getting there. Lumbini (pop. 4.81 lakh) is in Nepal, 27 km from the Indian border at Sonauli. Visitors from India and Bhutan do not need an entry visa, but foreign nationals do. Visitors can take a flight to Bhairawa and take a bus or rent a jeep or a three-wheeler to the site. In addition, regular bus services link Bhairawa and Kathmandu. By rail it is a mere 34 km from Naugarh railway station of the North-Eastern Railway. Visitors from India need to travel by road from Gorakhpur, Sonauli and Kushinagar, with Gorakhpur as the nearest railhead and Varanasi the nearest airport. Accommodation. Top-end: Tiger Tops Tharu Lodge (Rs.19,000), Pawan Palace Lumbini (Rs.12,000). Mid-range: Lumbini Buddha Garden (Rs.5,000), Hotel Nirvana (Rs.3,000). 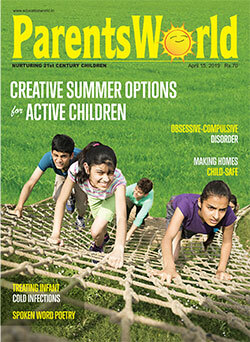 Budget: Siddhartha (Rs.1,400), Mirage Inn (Rs.2,400). According to Buddhist lore, circa 500 BCE Prince Siddhartha Gautama, wandering as a monk, reached the sylvan banks of River Falgu, near the city of Gaya, 96 km from Patna. There he sat in meditation under the Bodhi tree. After three days and three nights of intense meditation he attained enlightenment and insight, and the answers that he sought. He then spent seven weeks at seven different spots in the vicinity, meditating and re-visiting his experience. After seven weeks, he travelled to Sarnath, where he began preaching Buddhism. Therefore, as the site where Gautama received enlightenment, Bodh Gaya is an important pilgrimage destination for Buddhists. The Mahabodhi temple, which was declared a Unesco World Heritage Site in 2002, consists of an elongated spire crowned by a miniature stupa and a chhatravali on a platform. A double flight of steps leads to the platform and the upper sanctum. Inside the temple there is a colossal image of the Buddha in the bhumisparsha mudra (“touching the ground pose”). This image is said to be 1,700 years old, and faces east, depicting the Buddha in meditation with his back to the Bodhi tree. Behind the main temple to the west there is an ancient pipal or Bodhi tree under which Gautama meditated until the Awakening. This is regarded as a descendant of the original Bodhi tree. Legend has it that Emperor Ashoka’s wife had it secretly cut down because she became jealous of the time Ashoka spent there. A cutting of the original Bodhi tree was also taken to Sri Lanka in the 3rd century BCE by Bhikkhuni Sangamitta, daughter of Ashoka. There the Lankan king Devanampiyatissa planted it in the Mahavihara monastery in Anuradhapura where it still flourishes. The Bodhi tree became the central focus of devotion early in the history of Buddhism. Pilgrims treasured the sacred tree’s seeds and leaves as blessings for their monasteries and homes. Over time, the site of the Bodhi tree became known as Bodh Gaya, and the day of enlightenment as Buddha Purnima. It is believed that the great Kalinga Emperor Ashoka erected a shrine near the Bodhi tree, which was replaced by the 52 m sandstone Mahabodhi temple in the 2nd century BC. But with the decline of Buddhism in India, the temple was abandoned and forgotten, buried under layers of soil and sand for several centuries. In 1883, a British Archaeological Society team comprising Sir Alexander Cunningham, J.D. Beglar and Dr. Rajendralal Mitra painstakingly excavated the site. 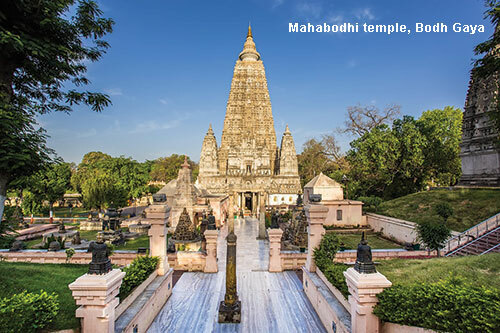 Extensive renovation work was conducted to restore Bodh Gaya to its former glory. Moreover in 1953 the Union government permitted the construction of monasteries by Bhutan, China, Japan, Myanmar, Nepal, Sikkim, Sri Lanka, Thailand, Tibet and Vietnam in a wide area around the temple. These shrines reflect the architectural style and interior decor of their native lands. In addition, an archaeological museum housing the relics of old temples excavated from the site is also an attraction for culturally inquisitive tourists. Today, Bodh Gaya is an international destination as monasteries, guest houses, meditation centres and Buddhist temples greet a stream of tourists, especially in winter (November-March). Apart from being holy ground for devout Buddhists, Gaya also hosts an array of Hindu shrines including its own Sun Temple (32 km) whose architecture is reminiscent of the famous Konark Temple in Orissa. Pretshila Hill (12 km), crowned by an Ahilya Bai temple, is a major tourist attraction for its unique architecture and magnificent sculptures. Ahilya Bai also commissioned a Vishnu temple on the banks of River Falgu, notable for its octagonal 30 m tall tower. Then there are the Barabar Caves (41 km) with reliefs from the life of the Buddha carved out and chiselled to a wonderful polish. Built in the 3rd century, these rock carvings are wonderful testimony to the skills of Indian masons and are regarded as the inspiration of all cave architecture in the subcontinent. Getting there. The nearest airports are at Gaya (7 km) and Patna (135 km). The nearest railhead is also Gaya (17 km). 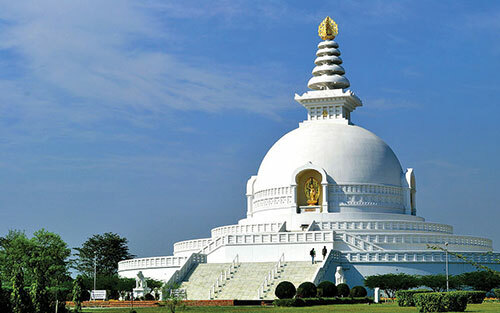 Bodh Gaya is well connected by road to Gaya (17 km), Nalanda (101 km), Rajgir (78 km), Patna (135 km), Varanasi (252 km) and Kolkata (495 km). Accommodation. The Bihar State Tourism Development Corporation runs three hotels — Siddhartha Vihar, Buddha Vihar and Sujata Vihar — and has a tourist information centre within its sprawling complex. More upscale accommodation is provided by Hotel Lotus (Rs.9,000 per night) run by Lotus Nikko Group of Hotels. Only 10 km from Varanasi (Benares), the sacred city of devout Hindus, Sarnath exudes the peace and serenity characteristic of Buddhism. The still air is redolent with incense and flowers and the chanting of monks. Deer wander amidst the ruins and spiders weave huge webs in the grass that shimmers at dawn, spangled with dew. After the Buddha gained enlightenment under the Bodhi tree on the banks of the Nairanjana river, he walked for over 250 km from Bodh Gaya, crossed the Ganga to reach the ghats of Kashi (Benares). He was searching for five ascetics who had deserted him at Rajgir because they felt that spiritual salvation was not possible. He found them in a deer park in the outskirts of the city and they were the first to hear him explain the Middle Way to enlightenment. This first sermon expounded by the Buddha is known as the dharmachakrapravartana (turning of the Wheel of Law). Sarnath attained eminence during the reign of Emperor Ashoka (273-232 BC). Later Saka and Kushan monarchs also patronised Buddhist monks and promoted Buddhist art in Sarnath. 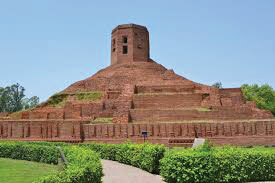 However in the 12th century both Varanasi and Sarnath faced the first onslaught of Muslim invasion. After Qutbuddin Aibak’s attack in 1194 AD, the thriving monastery in Sarnath lay in ruins and the few monks who survived, fled. Sarnath never rose again. Seven hundred years later, in 1834, a British archaeological team led by Sir Alexander Cunningham rediscovered Sarnath, opening a window to a forgotten period in India’s ancient history. Today the ruined stupas, broken walls of monastery cells and statues within the niches of the walls, lie within acres of emerald lawns. Accommodation (Varanasi). Top-end: The Gateway Hotel Ganges Varanasi (Rs.12,480). 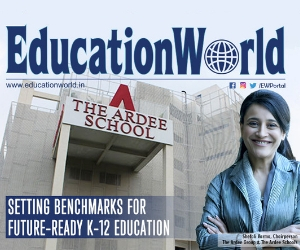 Mid-range: Rivatas By Ideal (Rs.4,306-5,309), Radisson Hotel Varanasi (Rs.5,310-6,110), Clarks Varanasi (Rs.6,000-6,900), Ramada Plaza JHV (Rs.8,200), Madin (Rs.6,000-7,000). Budget: Hotel Chaitanya Inn (Rs.1,500-3,000), Hotel Lotus International (Rs.1,600-3,100). Excursions ex Sarnath. Dhamekh Stupa. Built in 500 AD, this is a solid cylindrical tower, 33 m tall and embellished with delicately carved geometrical and floral patterns. Some historians speculate that the stupa may have been built by Ashoka to mark the spot where the Buddha preached the dharmachakrapravartana for the first time to the five ascetics. Another structure by the name of Dharmarajika Stupa marks an alternative site where the Buddha may have given his first sermon. Just behind the stupa are the remains of a massive Ashoka pillar, one of the many that Emperor Ashoka built to mark the spread of Buddhism. 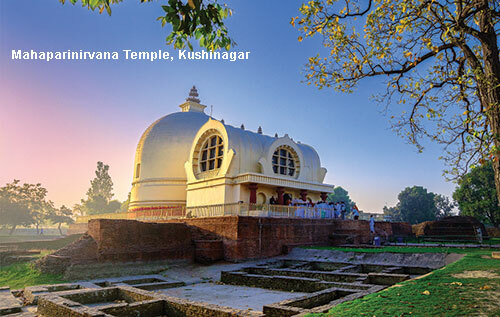 Mulgandhakuti Vihara marks the site where the Buddha meditated during his monsoon retreats at Sarnath. Excavations have unearthed a statue of Bodhisattva (a Buddha image) dating back to the 1st century AD, and a tablet on which the name of the shrine was carved. In 1922, a temple — the Mulgandhakuti Vihara — was erected on the site. It enshrines relics of the Buddha which were discovered at Taxila and frescoes painted by a Japanese artist. Sarnath Museum is a treasure trove of Buddhist sculptures, inscriptions and pottery, housing some of the finest images of the Buddha and panels depicting important episodes from the life of Sakyamuni (a venerated disciple of the Buddha) from the Gupta period. In Sarnath Museum one can also view the magnificent Lion Capital, which once crowned the Ashoka pillar at Sarnath, and which today is the official symbol of the Indian state. Mathura School of Art. A fine example of the Mathura School from the Kushan period (1st century AD) is a standing image of the Buddha in red sandstone, with exquisitely carved details. Mahabodhi Society. The library of the Mahabodhi Society houses an excellent collection of Buddhist literature and rare manuscripts. In 543 BCE on a full moon night of Magh (January-February), the Master lectured to the Sangha at village Beluva, near Vaishali, on the impermanence of all living things, while announcing that his own life on earth was soon to end. The grove of sal trees in Kushinagar forest was chosen by the Buddha for his mahaparinirvana or final exit from this earth. Today Kushinagar is identified with the village of Kasia, 51 km from Gorakhpur in eastern Uttar Pradesh. The revered bhikshu (monk) Mahakashyapa lit the funeral pyre at Mukutabandha Vihara (Rambhar Stupa), though today not much remains of this stupa except a large brick mound rising to a height of almost 15 m set within a well-maintained park. Thousands of people come to Kushinagar to celebrate the three most important stages of the Buddha’s life — birth, enlightenment, and death. 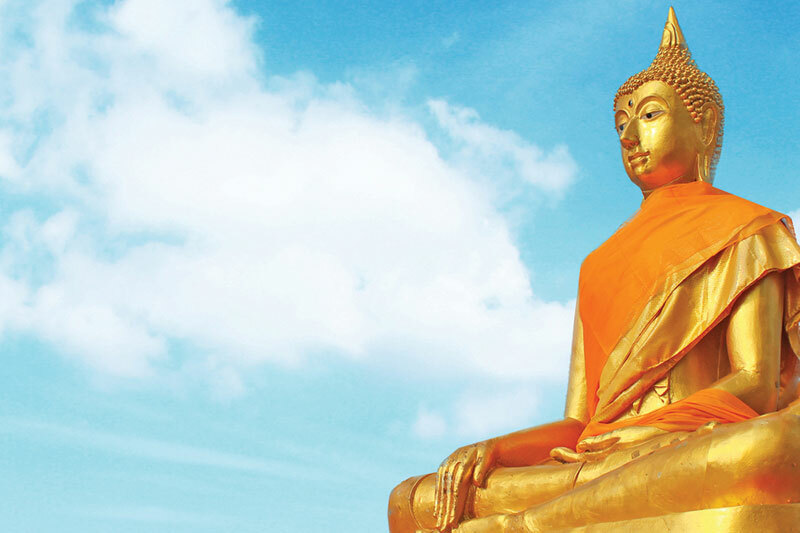 The Mahaparinirvana temple enshrines a 6 m long statue of the Buddha in the parinirvana posture. Carved from black stone, the statue now looks metallic gold because of the application of gold leaves by pilgrims. About 366 m from the Mahaparinirvana temple is the small Mathakuar shrine, built on the spot where the Master delivered his last sermon. Getting there. Gorakhpur (51 km) is the most convenient railhead, while Varanasi airport is 280 km from here. Accommodation Top-end: Om Residency (Rs.8,300). Mid-range: The Royal Residency (Rs.6,500), Imperial (Rs.5,700), The Ideal (Rs.4,200). Founded in the 5th century AD, Nalanda was an ancient seat of learning, containing the ruins of one of the world’s oldest universities. 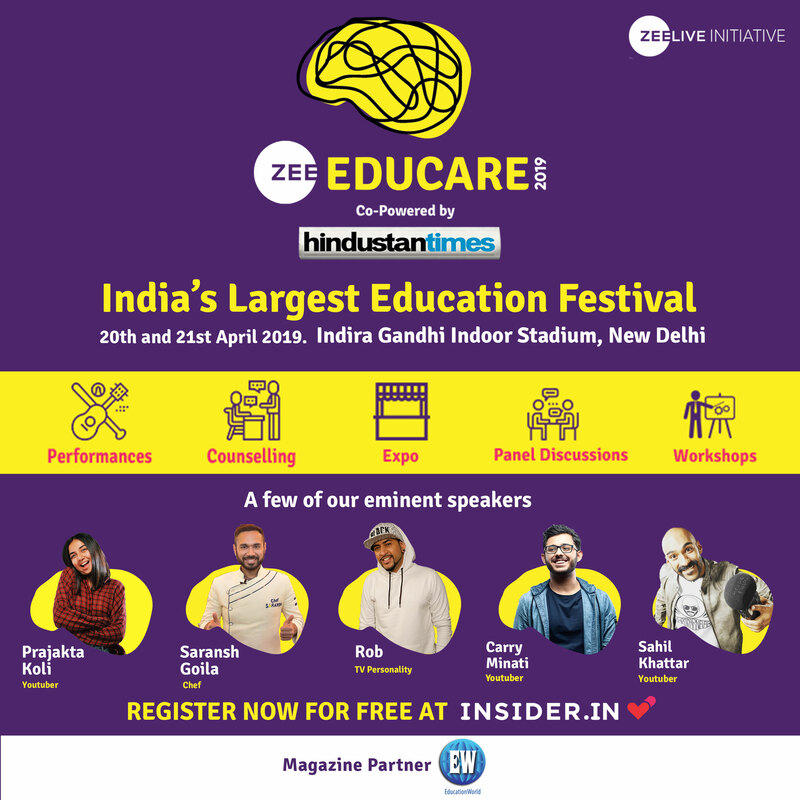 Nalanda was one of the world’s first residential universities, established in 450 AD under the patronage of the Gupta emperors, notably Kumaragupta. In its heyday 2,000 teachers and 10,000 monks from all over the Buddhist world lived and studied here. The library was housed in a nine storied building where copies of texts were meticulously produced. 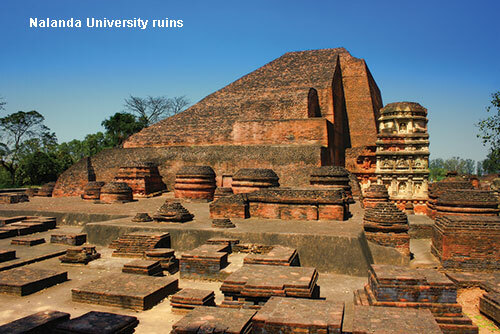 The subjects taught at Nalanda University covered every field of learning, and attracted pupils and scholars from Korea, Japan, China, Tibet, Indonesia, Persia and Turkey. In 1193, Nalanda University was ransacked by invading Muslim armies led by Bakhtiyar Khilji. This was a milestone in the decline of Buddhism in India. 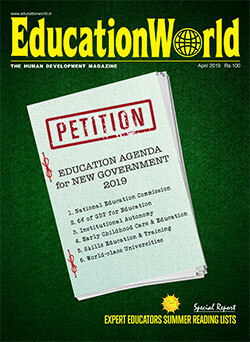 The Muslim invaders cared little for the university and its great reputation as an epicentre of learning. The Persian historian Minhaz, in his chronicle Tabaquat-I-Nasiri, reported that thousands of monks were burned alive and thousands beheaded, while the gutting of the library continued for several months and “smoke from burning manuscripts hung for days like a dark pall over the low hills”. Nalanda is no longer inhabited. Today the nearest habitation is a village named Bargaon. However, an international centre for Buddhist studies was established here in 1951. Also worth a visit are the Nalanda Archaeological Museum, Nava Nalanda Mahavihara and Hieun Tsang Memorial Hall. Getting there. The nearest airport is Patna (89 km) and the nearest railway station is Rajgir (12 km). There are no taxis available in Nalanda. Cycle rickshaws and tongas are the only modes of transport. Fifteen km from Nalanda, the small hill grit town of Rajgir, located in a valley and covered with lush green forest, is a sacred place for Buddhist pilgrims. Legend has it that the Buddha spent many years in Rajgir, meditated and delivered sermons here and proselytised king Bimbisar at the Gridha Kuta hill. The teachings of Buddha were penned down at Rajgir and it was the venue of the first Buddhist Council. An added attraction of Rajgir is the ropeway which takes visitors uphill to the Shanti Stupa and monasteries built by Japanese devotees atop the Ratnagiri hills. Gridha Kuta (Vulture’s Peak). Of great historical importance, the hill is listed in Buddhist canonical texts as one of the places where the Buddha stayed when at Rajgir. Described by Faxian and Xuanzang, it was identified in the later 19th century as the hill lying to the east of old Rajgir. It is now crowned by the Shanti Stupa and has a chairlift to the top. Pipphali cave, venuvana, karand tank, maniyar math, swarnabhandar cave, pippala cave, viswa shanti stupa, the famous hot water springs are some of the other attractions here as also the Jivakarama and Tapodarama monasteries housing ancient sacred texts. In addition, Rajgir has several Hindu sites including Jarasandha ka akhara, and ancient chariot tracks. Getting there. The nearest airport is Patna (101 km). Though Rajgir has a railway station, the nearest convenient railhead is at Gaya (78 km). Situated in Gonda district in eastern Uttar Pradesh, Sravasti (ancient Savatthi), the capital of Kosala Mahajanapada, was the largest town of the Gangetic plains during the Buddha’s lifetime. It was home to the Master for 25 years during the annual vassavasa (rain retreat) when the Sangha congregated in one place. The most convenient way to reach Sravasti is via Lucknow, the capital of Uttar Pradesh, which is well connected by air and rail to all parts of India. Located on the fringes of Sravasti is the Jetavana Vihara, the monastery where the Buddha delivered the maximum number of sermons. Here the Anandabodhi tree stands as an eternal witness to the vicissitudes of history. This sacred tree was brought as a cutting from the Bodhi tree in Anuradhapura in Sri Lanka, which itself grew from a sapling of the original Bodhi tree in Bodh Gaya. The ruins of Anandakuti and Gandhakuti exude an aura of sacredness because it was here that the Lord stayed during his many visits to Jetavana Vihara. In Sravasti, the Master expounded a major part of the Tipitaka and performed the only miracle of his life in response to a challenge from six non-believers. The Buddha levitated on a thousand petalled lotus, causing fire and water to leap out of his body and multiplied his body in the air. Close to Jetavana are several Sri Lankan, Chinese, Myanmarese (Burmese) and Thai monasteries and temples. Also worth seeing is the park with a large bell donated by Japanese pilgrims. Five years after the enlightenment in Bodh Gaya, Lord Buddha came to Vaishali, bound by the hills of Nepal on the north and the River Gandak on the west. 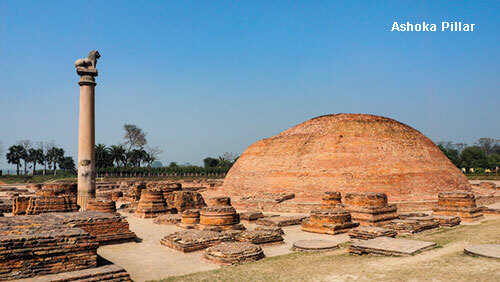 The city where women were first ordained into the Sangha, Vaishali is also renowned as the place where the Buddha delivered his last sermon, extolling the monks to spread the dharma across the world. A hundred years after the mahaparinirvana, the second Buddhist Council was held in Vaishali in 383 BC. The momentous resolution of this session was the dispatch of missionaries to different parts of the world for the propagation of Buddhism. Also worth a visit is the neighbouring village of Amvara, the site of courtesan Amrapali’s mango grove. A famed courtesan, Amrapali renounced worldly life to accept Buddhism and gave generous donations to the Sangha. Kesaria Stupa. The tallest Buddhist stupa (104 ft) in the world, Kesaria stupa is located at Champaran (60 km from Vaishali). The stupa which the Archaeological Survey of India (ASI) excavated in 1998 is believed to date back to 200 AD and 750 AD and has a circumference of almost 1,400 ft.
Getting there. The nearest airport is at Patna (36 km) and the nearest railhead is Hajipur.